How Do You Quit Smoking With Vaping? You’ve tried patches that still leave you with cravings, gums that give you the hiccups, and various inhalers that can’t compare to a real cigarette. Whether you’re interested in quitting smoking for health reasons, cost savings, or just cause you want to vaping could be the perfect solution for you. Here are the top 5 reasons why you should quick smoking and start vaping now. Vaping or using e-cigarettes is actually far more convenient than smoking the real thing. E-cigarettes come in a variety of shapes and sizes but generally, are all handheld and fit easily into your pocket. These little devices often mimic cigarettes in the way they are held, used, and the sensation you would get from drawing a normal cigarette. 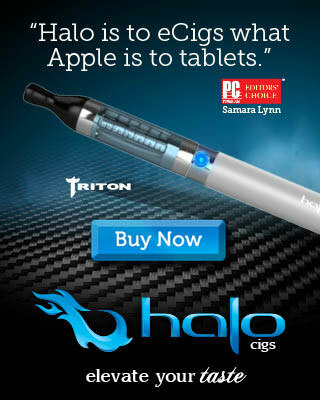 This makes switching from cigarettes to e-cigs seamless and easy. Perhaps the biggest bonus of e-cigarettes is that they can often be used indoors or in places that would normally ban cigarette smoking. 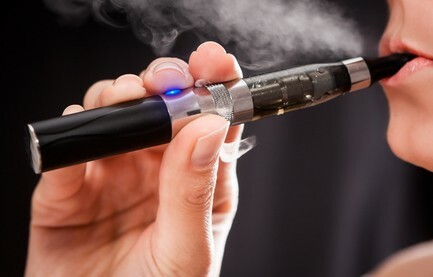 E-cigs leave no smoke, smell, or residue behind. Clouds of vapor dissipate within seconds and leave no trace. This makes vaping a perfect substitute for those who wish to vape indoors and have others nearby. Before vaping in an establishment, be sure to check if the owner allows it. An added bonus with e-cigs is that you never need to find matches or a lighter. E-cigs come with convenient rechargeable or replaceable batteries so you’re never stuck without a flame. E-cig cartridges come in a variety of sizes and flavor so changing up your vape is also entirely up to the user. The best part is that none of the e-cig devices, batteries, or fluids require a prescription. 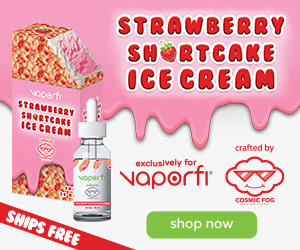 Many can be ordered online or found at your local vape shop without needing a doctor’s note. Vaping is a huge cost saver when compared to cigarettes. The average pack of cigarettes can cost upwards of $10 depending on where you live. 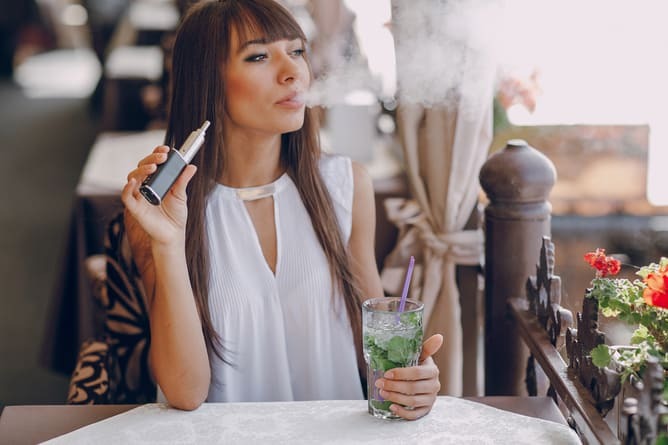 Vape devices do have an initial cost of around $50-200, but after that, all you need is to recharge the batteries and buy replacement e-juice cartridges. These cartridges cost around $8 each and can last for weeks depending on how often you use them. Wholesale prices are far cheaper and an option for everyone as e-juices can be stored for months to years with no loss of quality. 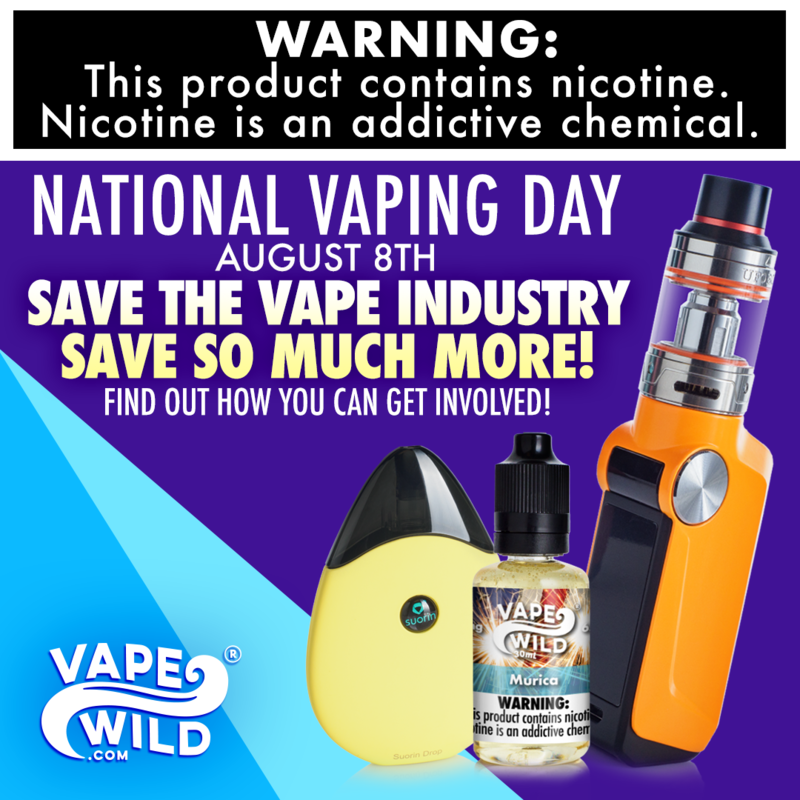 If you’re interested in non-nicotine vaping, the prices are even lower. Many smokers enjoy the act of smoking just as much as the feeling they get from it. Vaping is the closest thing to smoking a real cigarette. The warm-up process, holding the e-cig, drawing from it, and the inhale-exhale all mirror smoking a regular cigarette. This has many benefits, especially psychologically, as e-cig users do not feel the normal withdrawal symptoms that patch or gum users experience. Throat hit or burn is another common sensation that many smokers enjoy and cannot be replicated except with e-cigs. Vaping gives users that sudden sensation in their lungs regardless of the nicotine content. E-cigs allow people to enjoy the inhale and exhale of vaping without the harmful chemicals contained in smoke. One of the best, and most trusted, methods for quitting smoking is to slowly reduce nicotine intake to the point where you no longer crave it. E-cigs are perfect at controlling and slowly reducing nicotine content by changing out the e-juice cartridge. These cartridges come in a variety of strengths and potency levels allowing the user total control over how much nicotine they intake. Controlled nicotine levels allow individuals to vape as much or as little as they want each day and still control their nicotine cravings. If you’re a heavy smoker who prefers higher nicotine levels, you can start with a higher strength e-juice and vape as frequently as you want. Later, you can continue to vape frequently but the lower the potency of e-juice. This natural weaning off process will help your body control its cravings without the stress and difficulty of other quitting aids. Once you’ve reached the point where you no longer crave nicotine, you don’t have to stop vaping altogether. You can simply switch to a nicotine free e-juice and enjoy the act and ritual of vaping without taking in any chemicals at all. This unique trait can only be experienced through vaping. If your cravings return, simply pop in another low nicotine juice and switch out when you feel comfortable. Vaping with e-cigarettes provides smokers with the most effective, affordable, and convenient substitute to smoking real cigarettes. If you’re looking to quit, or simply try something new give vaping a shot. 2 How Do You Quit Smoking With Vaping? 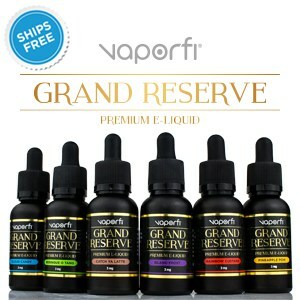 Best Vape Liquids Reviews shared a link.